It takes a huge amount of work to be ready for your first dressage show. You have to look after your horse, ensure you have the right clothing and equipment, and, of course, the hours and hours of practice. Then, when you’re finally ready, it’s time to take center stage. Equestrian retailer Country & Stable know just how nerve-wracking but exciting your first dressage show can be, and have provided their top tips to help the day go that little bit more smoothly. The last thing you want is to get to the venue and then stress about where to go, what to do, sorting out your equipment, etc, so make sure you prepare nice and early. When you first get to the show, make sure you have your numbers and equipment sorted, register with the relevant people, and take care of any other important admin - even things like finding somewhere to park or checking where the bathrooms are. You’re then free to focus on your performance without any other issues. A couple of weeks or so before the show, head to the venue and check the place out. If possible, see if you can take your horse with you as well. This will help the both of you get more familiar and comfortable with the location, so that when it comes to the day of the show, it’s not completely new to you. This can be an extension of the previous point, allowing you to become more familiar with your surroundings on the day. Keep an eye on the events calendar for the venue, and pop along to another dressage show to get a better idea of what your show will be like. You will experience the atmosphere, see where the judges are sat, and see the kinds of the things the riders do - hopefully some of this will help you prepare for when it’s your turn. It’s important to go into your first dressage show knowing just what you want to get out of it, and not to place your expectations too high. By all means be confident, do you best, and hope to achieve the best result you can, but do not be too disheartened if it doesn’t go perfectly. The most important thing is to make sure you learn from the experience, and take that forward to your next show. Always make sure that you’ve tried out new kit and gear beforehand to make sure both you and your horse are happy with it. You don’t want to be mid-show and find that your horse hates the new saddle you’ve bought, or that your riding boots hurt your feet like crazy. In an ideal world, you’ll know your test inside out well in advance, so that you don’t really have to think too hard about remembering it. This will also make you feel much more confident about it. If you don’t feel that confident, which is understandable for your first dressage show, then have it read to you by a caller so you can concentrate on the riding. You’ve done all the hard work and you know what you’re doing, but don’t forget the basics. A lot of riders forget to ride the moment they get into the test, but as long as you remember the basics, you’ll do fine. Use your corners, ride to the markers - you know what to do; the test isn’t the time to try something new and risky. Your first show can be a stressful and nerve-wracking experience, so don’t do it all on your own. If possible, take someone with you who has show experience, so they can talk you through what’s going on, answer any questions you may have, and calm you down if it all gets a bit much for you. If they’re comfortable holding your horse for you, then even better. As well as having someone with you, take some extra support in the form of your friends and family. You might be a bit nervous performing in front of them, but you’ll really feel their support, and they’ll no doubt be immensely proud of you. This is the most important piece of advice - enjoy it! You only get one first dressage show, so make sure you take in the atmosphere and enjoy the day. If you enjoy it, then you’ll probably find you perform better as well. 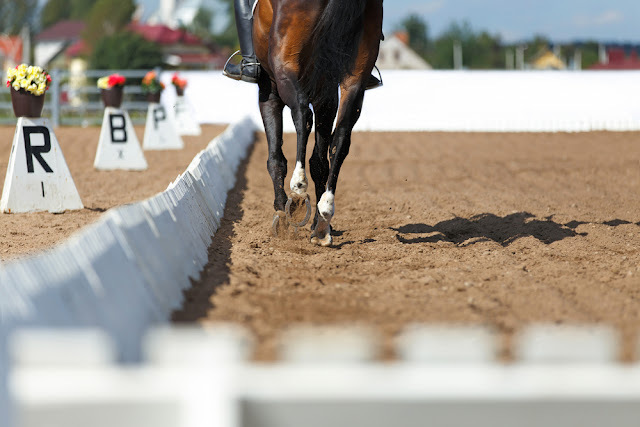 If you’re taking part in your first dressage show, we hope that these tips have been useful - good luck! 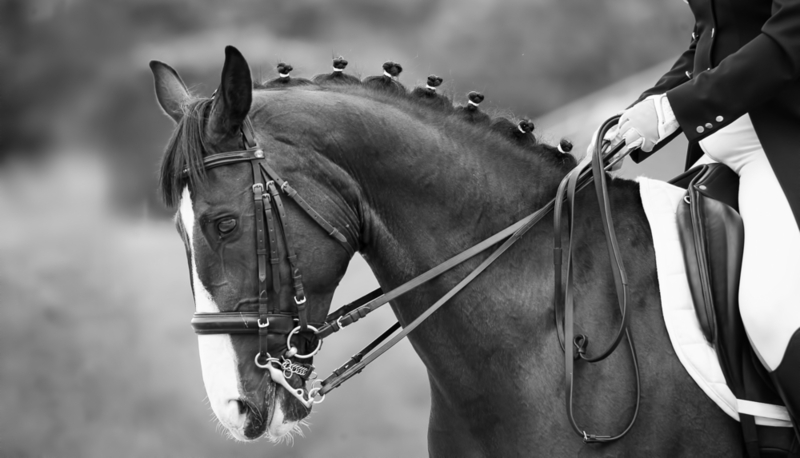 Mark Robinson is a freelance writer who works with a variety of equestrian, sporting and outdoor living brands. His dream is to one day take part in the Badminton Horse Trials but might have to settle for watching it on TV.